Dave and I met at the Eastman School of Music back in the ‘70’s. We became close almost immediately as we had so much in common – we were the same age, we were both upstate boys from Polish families and we were both percussionists. But Dave was first and foremost a jazz drummer. As a kid, his father took him around to jazz clubs and Dave would fixate on the drummers. It had a deep effect on him as he became known for his swinging grooves, from the tastiest of brush work to the most kickin’ big band sound. 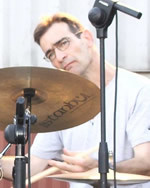 Honing his grooves for a few years with the Woody Herman band, Dave settled down in New York City where he established himself with Gerry Mulligan, Grady Tate, Kenny Rankin, Rosemary Clooney, Milt Hinton, Audra McDonald, Michael Feinstein, Debby Boone, Bob Magnuson and John Fedchock, to name a few. He played drums with the New York Philharmonic and Boston Pops and was recorded on enough jazz albums to fill a library. On Broadway, some of his shows were “The Music Man,” “Wonderful Town,” “Crazy For You,” “Titanic,” “Sweet Charity,” “Mary Poppins” and “City of Angels,” which was arguably the most swingin’ book ever to hit Broadway. I stayed close with Dave through the years, but it was always a bonus when our professional paths crossed. Whether in a Broadway pit, on an occasional recording session or in a club down on Bleecker Street, Dave was always a lot of fun to be with. When we got comfortable with a groove, you could count on him to look over at you and give one of his signature contorted faces, or his familiar Jerry Lewis “Ladies!” shouts. It was on one of these club gigs that Dave met his wife, Amie. It was a groove band called Bill Block and Big Bang, and Amie was Bill Block’s sister. It was love at first sight and thus Dave cemented his position in the band! Meanwhile the steady work of Broadway allowed Dave to settle down and raise a family. After a courageous battle with ocular melanoma, Dave passed away last Oct. 3, 2014 at the age of 56 after being a member of Local 802 since 1982. He is survived by his wife of 25 years, Amie, and his beautiful children Mathew and Emilie. The trumpet world has lost a great colleague. 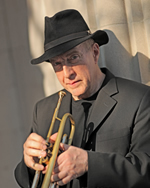 I can still see Lew Soloff as a young boy waiting for his lesson after mine at Juilliard Prep. We became good friends working together at Radio Hall City Music Hall. When Lew played the jazz chair, he was to give us a clue as to where we would have dinner together. We teased him about it always sounding Chinese. I remember the day he told us that he would be going on tour with the unknown group Blood, Sweat & Tears “for a few weeks”! Years later, we caught up in Berlin where I was living, when he was on tour with the Herbolzheimer Band. When we moved to Vienna, we saw Lew even more often. He was highly respected and admired in Europe. In addition to playing in concert halls and jazz clubs, he often gave clinics. His great concern was that young players wanted to play jazz before they really had a solid background of trumpet technique, like we had received studying with Ed Treutel. When Lew came to town, our world was always brightened by his enthusiasm and sometimes wackiness. 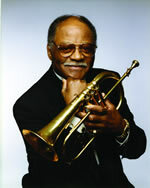 We shall greatly miss one of the greatest trumpeters and best of friends. See our main tribute to Mr. Soloff in this issue. Clark, dear Clark. You took a young musician from Detroit to NYC to record a great album, featuring Dorothy Ashby, Richard Davis, Grady Tate and others, in the late 60s. You helped me to become the principal timpanist of the New Jersey Symphony for 40 years! Thank you, Clark. You will be missed. See our main tribute to Mr. Terry in this issue. On this page, musicians share their personal reminiscences of deceased Local 802 members. E-mail Allegro@Local802afm.org to submit a memory.